Luxeffect top coats create a dazzling effect to your nails in seconds. Easy to apply and easy to wear, designed to embellish your favourite Essie nail polish. 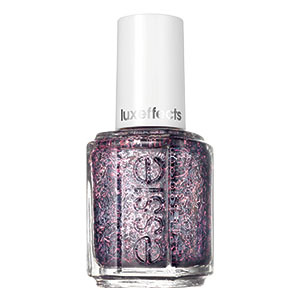 Essie Luxeffects Fringe Factor is also part of the Luxeffects 2015 Collection, it will make your manicure a little bit mischievous with a mix of gunmetal and rose gold confetti.